Hellooo, New York City! 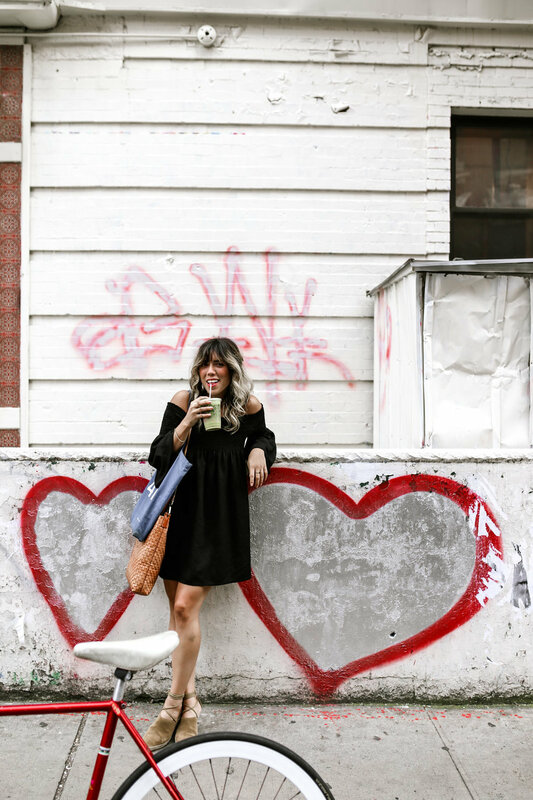 We finally made it back and we are so excited to share some of our favorite places to visit, starting with Nolita, NYC. When we're travelling, we always like to start by finding neighborhoods that just "get" us, and then wander from there. 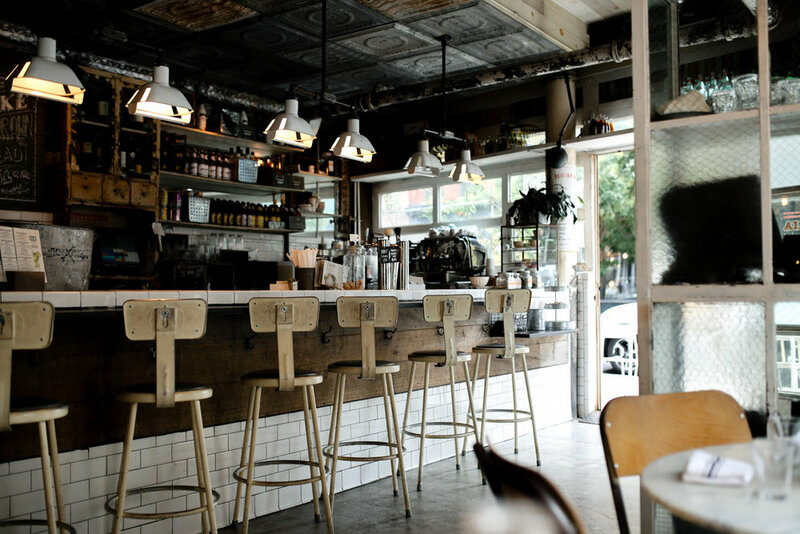 Nolita, New York is totally our vibe, and it's definitely our home away from home in Manhattan. Nolita reminded us a lot of Venice in LA, but with an Italian twist. 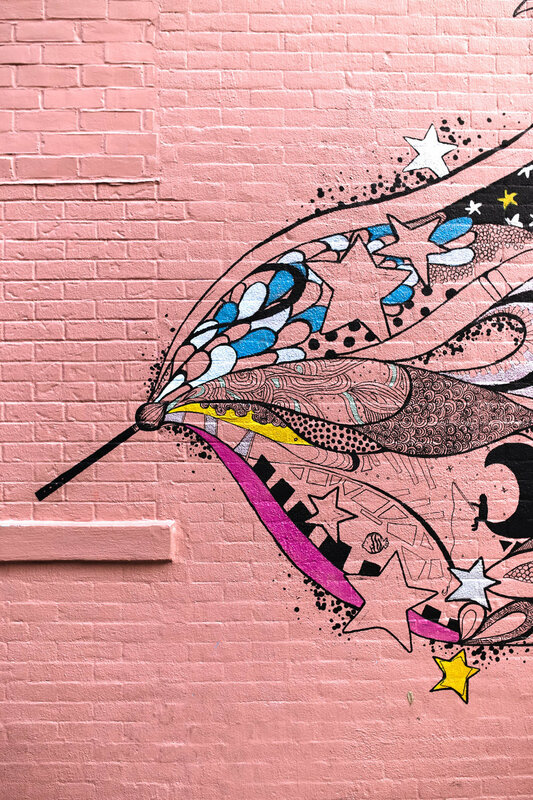 Nolita is short for "North of Little Italy," so you'll find a lot of modern Italian touches in this small, fun 'hood. When we said Nolita reminded us of Venice, it's mainly because of The Butcher's Daughter. 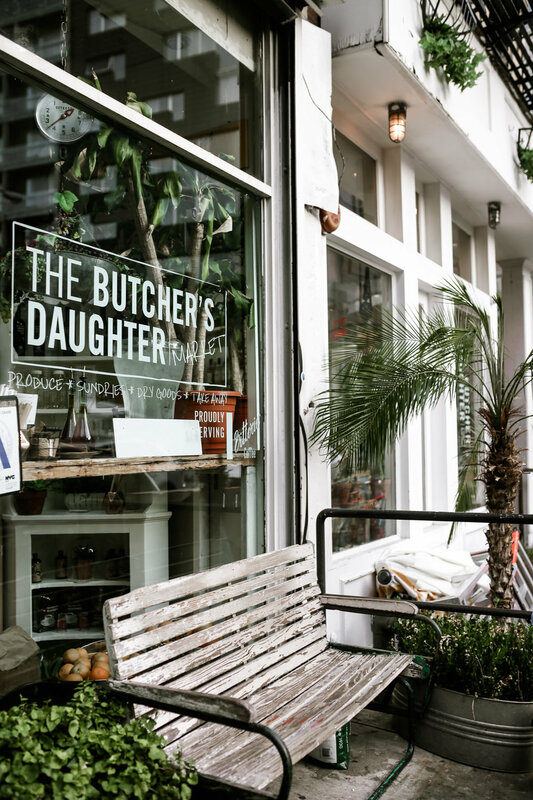 One of our all-time favorite restaurants, The Butcher's Daughter is a beautiful and delicious plant-based restaurant, and they have a location on Abbott Kinney in LA too. 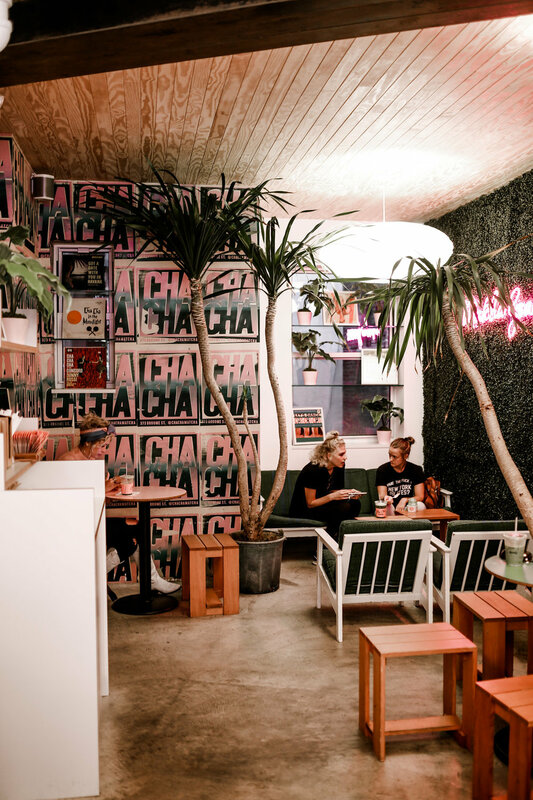 You always feel so good after eating their food and sipping on a kombucha, and it's the kind of place that really inspires you to live your best life. And the Instagram-worthy aesthetic and street patio doesn't hurt either! 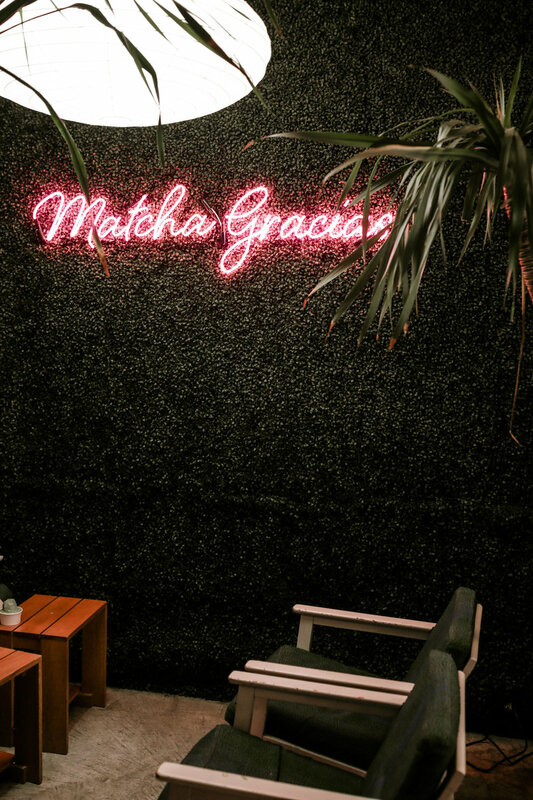 Matcha is having a serious moment right now, and we are here for it. 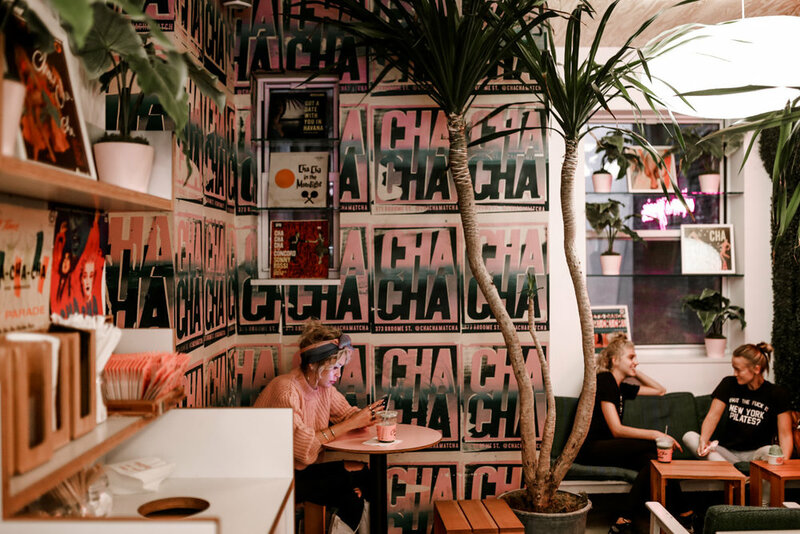 Cha Cha Matcha is a trendy tea place in Nolita, New York and we are obsessed with their cute decor and yummy drinks. If iced matcha tea lattes aren't your thing, try their matcha soft serve ice cream instead! This is definitely one of the places to be in NYC. 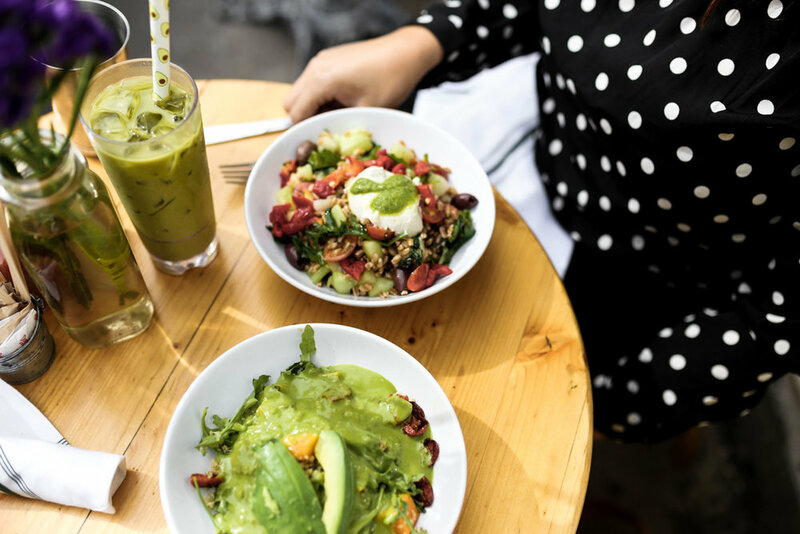 One of the most recognizable Nolita shops, Egg Shop has risen in popularity thanks to Instagram foodies and fashionistas alike. The sunny little cafe focuses on all things eggs, which are organic and locally sourced. Not in Manhattan? They recently opened up an Egg Shop in Williamsburg too! Pietro Nolita is a fresh take on Italian food, with a "healthy" spin on your favorite pasta dishes, paired with a side of "oh my god." 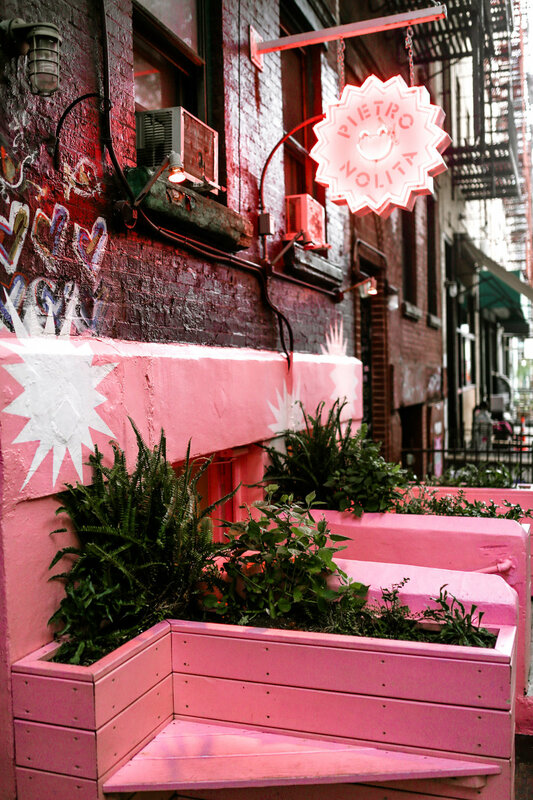 It's not just pink on the outside, but the entire interior of this Nolita restaurant in NYC is covered in pink too. We didn't get a chance to eat here, but it's at the top of our list for the next trip! We literally stumbled into Osteria Caffe after lunch when we were in desperate need of wifi to take a work call, and we love this place! It's a chill escape from the hustle and bustle of the city, and we loved the Italian atmosphere. We sat near the patio and indulged in their amazing happy hour special: buy one wine, get one free. Doesn't take much to make us happy! Last but not least, we instantly fell in love with the store Bulletin! Like lots of things in Nolita, NYC the store was decked out in bright pink. But what really made us happy was all the empowering merch and cool gifts we could buy! The entire store was curated from internet brands, it's all themed around feminism, and 20% of their proceeds go to Planned Parenthood. You'll findinspiring art and goodies that you never knew you needed before, but won't be able to leave the store without! Not in NYC? Check out their online store here. 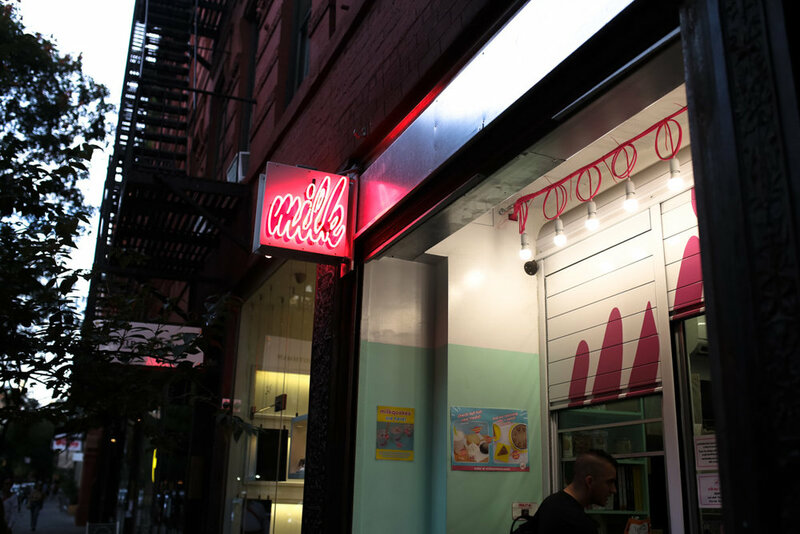 Those are just a few of our favorite places to explore in Nolita, NYC!